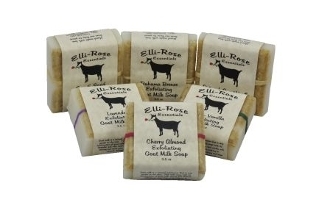 Our soaps are made with vegetable and coconut oils that meet vegan guidelines (they do, however, contain goats milk). This is a naturally moisturizing, hypo-allergenic soap. Each bar has a layer of ground oatmeal which acts as a gentle exfoliant for your skin. SAVE MONEY WHEN YOU BUY 3 BARS FOR $10.00!